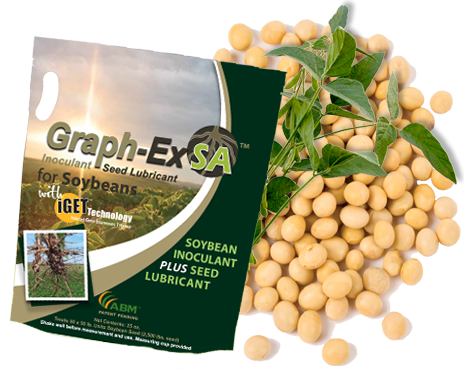 Graph-Ex SA™ for Soybeans is a specially formulated blend of encapsulated Rhizobia soybean inoculant plus the benefits of iGET™ Technology. 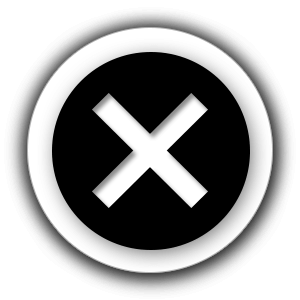 Graph-Ex SA™ for Soybeans is an inoculant, or seed treatment, containing a specially formulated blend of Excalibre™ Soybean Inoculant plus SabrEx™ Root Inoculant formulated in a talc-graphite carrier. Graph-Ex SA™ for Soybeans is comprised of both proprietary beneficial bacteria (Bradyrhizobia) and beneficial fungi (Trichoderma) that provide a more efficient use of soil nutrients for the host plant. These proprietary and patent pending biologicals first colonize the soybean crop root system. Their association with the plant induces gene expression and changes in the plant physiology to enhance multiple biochemical pathways. Crop stresses, such as disease and dry weather, can be alleviated and often systemically – so that root colonization by the seed treatment can affect the physiology of the whole plant, even foliar/leaf biology. Graph-Ex SA™ uses an innovative talc-graphite carrier for increased seed flowability with high adhesion and low use rates. Seed pre-treated with fungicide/insecticide packages often has rough seed surfaces that can interfere with seed flowability. The talc/graphite formulation not only increases seed flowability, but also helps to lubricate the planter equipment. This is important, as it will minimize seed hang-ups in your equipment and reduces the wear and tear on your units. Graph-Ex SA™ delivers the growth stimulant benefits of the iGET™ Technology plus the nitrogen benefits of our unique proprietary blend of three strains of yield enhancing Bradyrhizobia bacteria. These biologicals work in tandem to improve seedling vigor, accelerate canopy closure, and improve nutrient and water efficiency. Growers don’t just grow food for others; they need to put food on their own tables as well. Improved seedling vigor, accelerated canopy closure, and improved nutrient and water efficiency means two things to the grower: increased soybean yields and a return on investment. Over the past 4 years, growers have averaged a 4.51 bu/a advantage over untreated soybean plots. Farmers with planting in virgin soybean ground have yielded even higher results. Graph-Ex SA™ for Soybeans is a planter box treatment that can be added just before planting at the planter box. It consists of a talc/graphite formulation as the carrier for the Bradyrhizobia and Trichoderma. You will add .5 oz. of Graph-Ex SA™ for Soybeans to every 140k unit of seed you add to your drill/planter. Make sure to mix Graph-Ex SA™ for Soybeans thoroughly with the seed. Refer to the Graph-Ex SA™ for Soybeans label for specific rates and directions for use. ABM™ highly recommends at least a double (2x) inoculant rate when planting soybeans under the following conditions. ABI Sterile Peat is highly recommended to be used as a second inoculant to achieve the double rate. Soil has not hosted the specific legume for more than 3 years.